PAIBKK.com Bangkok's #1 E-commerce / OpenCart solutions. Ready to start e-commerce solutions, Webhosting & Website development. Google Wallet for OC 3.x Payment Gateway (logo included in checkout) NOT FOR OC 2.3.x or previous versions! 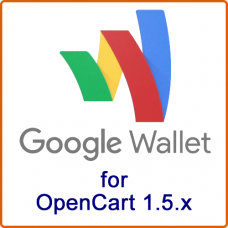 Features: Thi..
Google Wallet for OpenCart 2.x Payment Gateway (logo included in checkout) NOT FOR OC 1.5.x or previous versions! NOT FOR OC 3.x or lat..
Google Wallet for OC 1.5.x Payment Gateway (logo included in checkout) NOT FOR OC 2.x or later versions! Features: This ..
TrueMoney for OC 3.x Payment Gateway (logo included in checkout) NOT FOR OC 2.3.x or previous versions! Features: Th..
TrueMoney for OpenCart 2.x Payment Gateway (logo included in checkout) NOT FOR OC 1.5.x or previous versions! NOT FOR OC 3.x or la..
TrueMoney for OC 1.5.x Payment Gateway (logo included in checkout) NOT FOR OC 2.x or later versions! Features: This True..
4 in 1 Money Transfer Payment Gateways for OC 2.x (logos included in checkout) NOT FOR OC 1.5.x or previous versions! 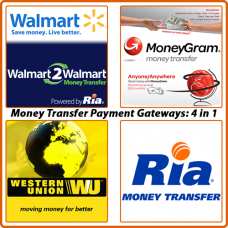 NOT FOR OC 3.x or..
4 in 1 Money Transfer Payment Gateways for OC 1.x (logos included in checkout) NOT FOR OC 2.x or later versions! 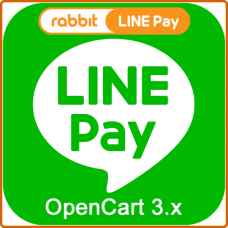 Features: Th..
Line Pay for OpenCart 2.x Payment Gateway (logo included in checkout) NOT FOR OC 1.5.x or previous versions! NOT FOR OC 3.x or lat..
Line Pay for OC 3.x Payment Gateway (logo included in checkout) NOT FOR OC 2.3.x or previous versions! Features: This Li..
Line Pay for OC 1.5.x Payment Gateway (logo included in checkout) NOT FOR OC 2.x or later versions! 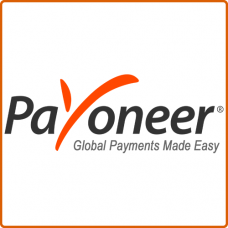 Features: This Line Pay p..
Payoneer for OC 1.5.x Payment Gateway (logo included in checkout) NOT FOR OC 2.x or later versions! Features: This Payoneer&n..
Payoneer for OC 2.x Payment Gateway (logo included in checkout) NOT FOR OC 1.5.x or previous versions! NOT FOR OC 3.x or later ver..
Payoneer for OC 3.x Payment Gateway (logo included in checkout) NOT FOR OC 2.3.x or previous versions! Features: This Payonee..
Ready2Start Webshop Pan-Am Package Featuring: Max. Number of products: UNLIMITED Themes installed / choice: 11 /11 ..